Metro News Network & Affiliates, N.A. 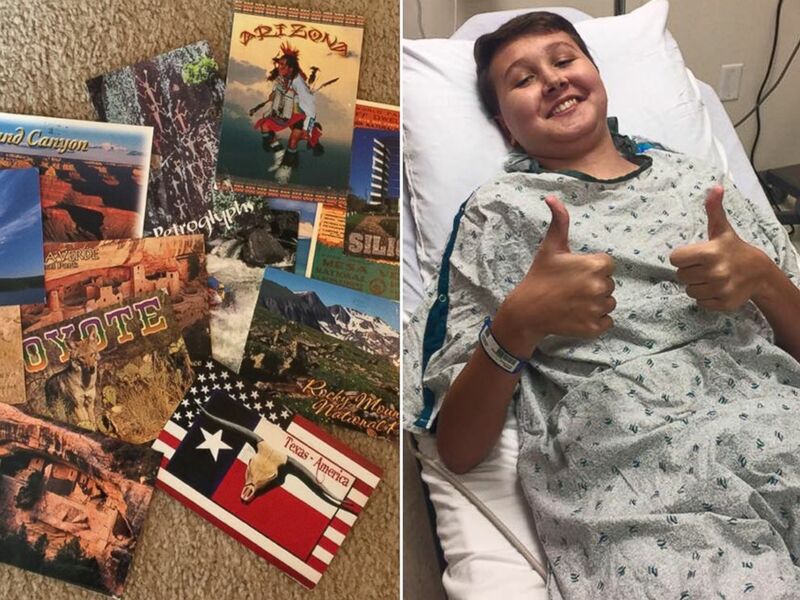 A Missouri mom is asking strangers to lift her son's spirits with postcards as he battles a cancer diagnosis. Mande Menne of Wentzville, Missouri, posted her request for postcards from all 50 states on Facebook, where it received over 1,100 shares. Now, people are promising to send mail from as far as Africa. 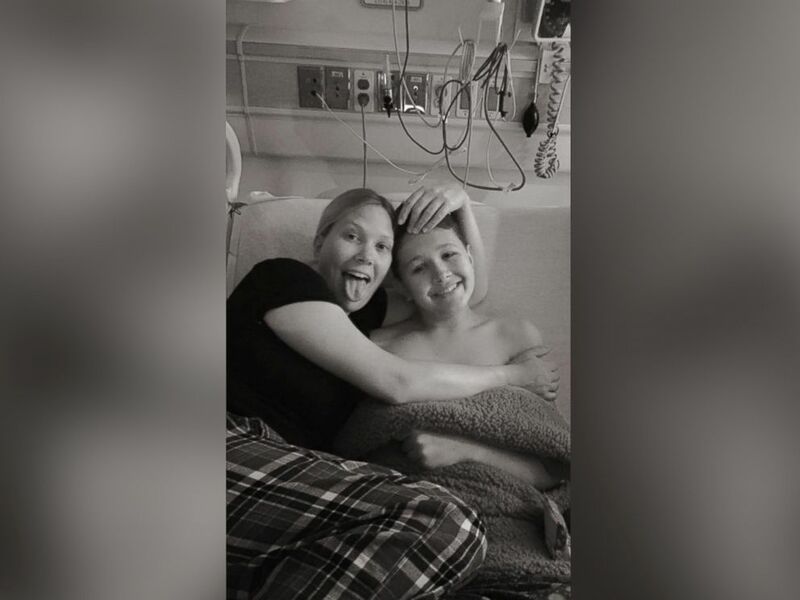 "It's made me so me so happy because I wasn't expecting this," Menne told ABC News today. "He seemed so down at first but now he's really excited about the postcards coming. There's so many people out there who care. It's like he has something to look forward to." (Photo by Mande Menne) Sulley Menne, 15, seen in an undated photo with his mother, Mande Menne of Wentzville, Mo. 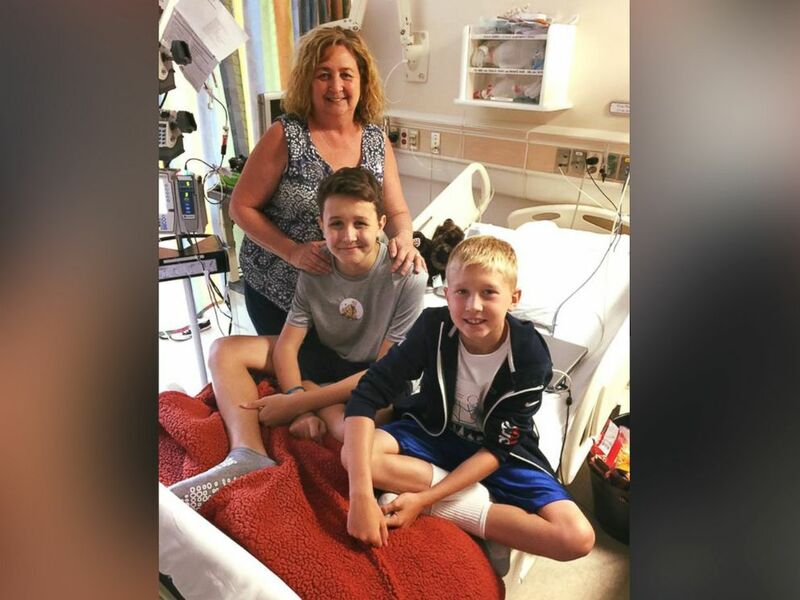 To take his mind off treatment, Sulley's grandmother, Zara Stone, came up with a plan to try and get people to send him postcards from every state in America. She even bought him a map so he can pin the locations of where he received a postcard from. "I decided to roll with her idea and put it on Facebook thinking we'd get more postcards, but I never thought we'd get this much attention," Menne said. Since Tuesday, Sulley has received 17 postcards containing well wishes but has been promised mail from Poland, Italy, Australia, Germany and Africa. "I think that would be really cool to see how far my story could go," Sulley told ABC News. "If I can get a postcard from anywhere in the world? Maybe Ireland would be cool [since] I'm Irish. "It's been tough," he added of his diagnosis. "But I'm going to get through it."